When it comes to modern saree drape, much has been done and tested out. 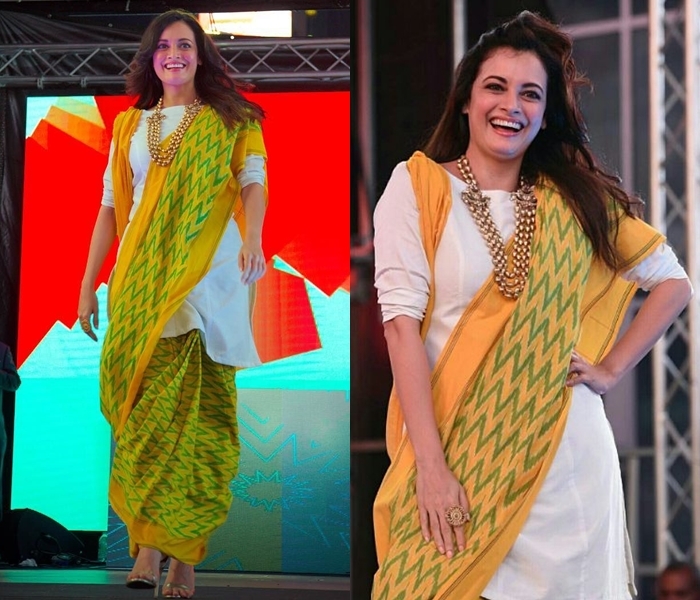 Wearing a saree with baggy shirt or dhoti pants is not new anymore. 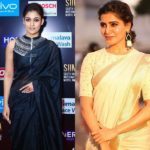 Needless to mention, from turtle neck tees to long blazers, all the wispy western silhouette had already evaded the saree zone in the form of blouse. Also, thanks to our fashion designers for introducing the quirky side of sarees. This year is all about pretty models wearing the most twisted style that has now evolved to fusion saree look. Pre-stitched waist clinching saree gowns and roomy palazzo sarees are just the icing in the cake. In that endless list of innovative saree styling, now please do add two more. 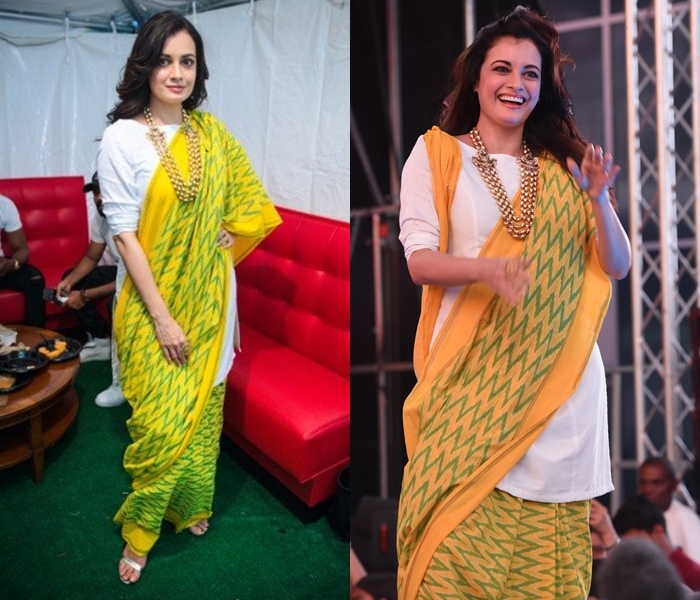 At the fashion show conducted by Myntra off late, we spotted Dia Mirza and Tapsee Pannu in a unsual but delightful saree look. 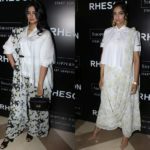 Of course wearing a kurtha or short skater dress for sarees indeed would make anyone call the style a bit odd, but both the pretty women pulled off the dress with such ease and elegance. Finally we had no choice but admire another interesting take on sarees! Would you try this experimental saree style? Drop your comments and let us know.